Google just updated its Maps app for iPhones and iPads. 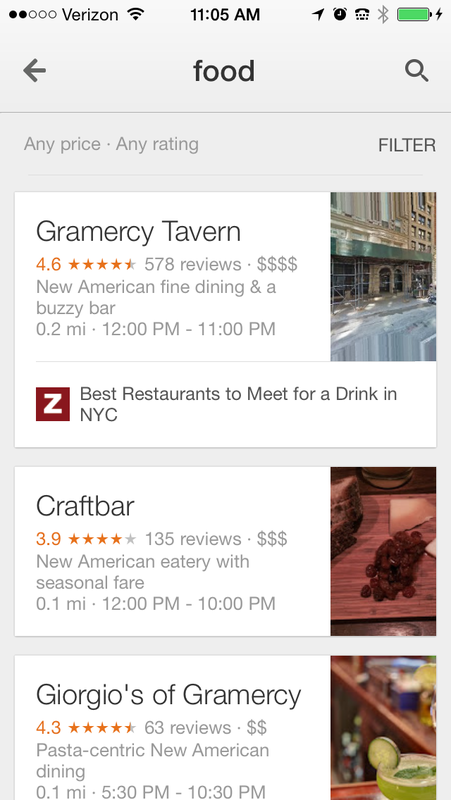 Version 3.2 adds a number of new features that Yelp users are already familiar with, but brings them to Google’s popular navigation and discovery platform. You can also view short descriptions for your search results right on the map, as well as labels for reservations and events that you’ve made in Gmail. 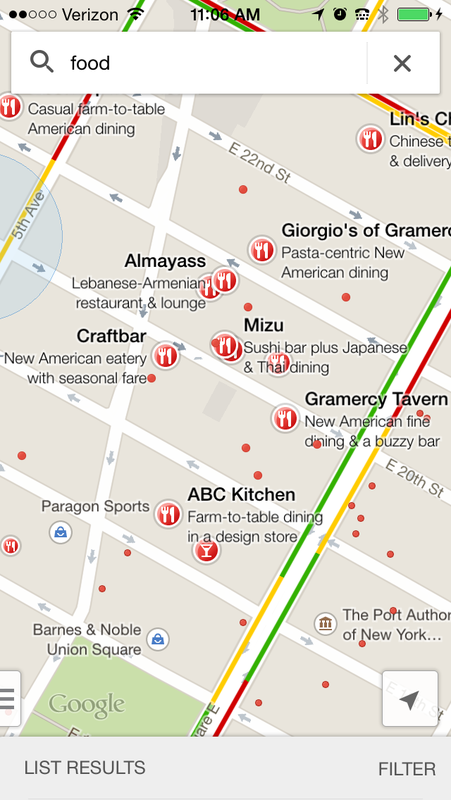 But the biggest change to Google Maps, which Yelp users will be very familiar with, is the ability to view one’s search results in the Map or as a list. Previously in Google Maps, you could only view results from the map one at a time. Now, when you view your results in a list, you can rank them by price or user rating, just as you can with Yelp. The update arrives just one week after Yelp executives accused Google of manipulating its search engine to deliberately put Yelp results at a disadvantage. This is how Google Maps looks when you search — in this case, for “food.” The results look more or less the same as before, but now you have brief descriptions of each listing right there on the map. A new option at the bottom allows you to view the results as a list. You can pull the “List Results” tab from the bottom to learn more information about each listing. When the “List Results” slider takes up the full page, you can scroll continuously through the listings and even filter them by price, user rating, places you’ve saved, places others have mentioned from your Google+ circles, and places that are open now. 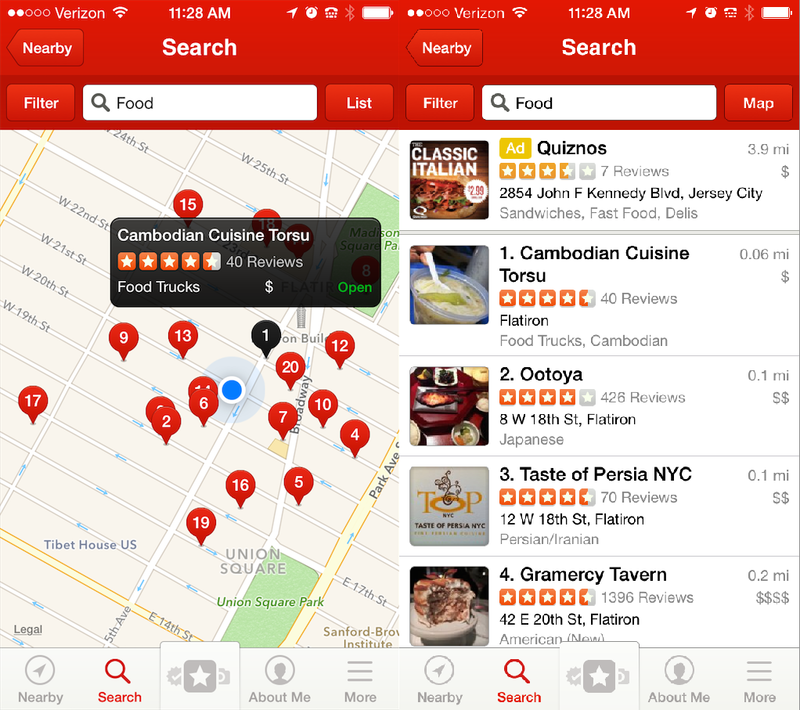 For comparison, here is Yelp’s iOS app, which allows you to switch between the Map and List views for your search results. 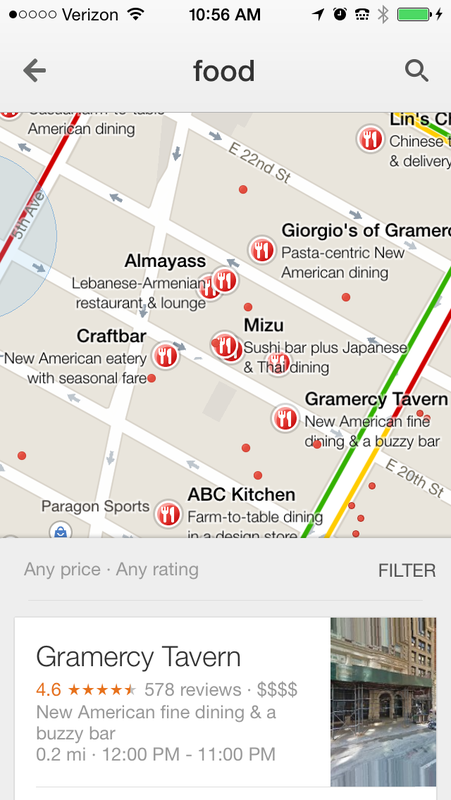 Yelp similar filters for its search results, but also a few more, including distance, deals, and take-out availability.